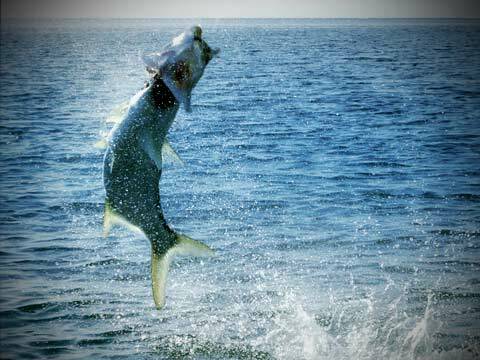 The Tarpon, Dolphin, Marlin and many more species are all waiting for you to come and cast a line. Contact any one of the Key's experienced Captains and enjoy a day on the water you won't forget. Key West and the Florida Keys are an absolute dream for any angler. Whether your just beginning or a seasoned pro, the waters surrounding these beautiful islands are sure to give you a day of fishing you will never forget. Islamorada is known as "The Sport-fishing Capital of the World", yet there is fantastic fishing to be had from Key Largo to Key West. The Florida Keys have some of the worlds most experienced fishing captains that would love to take you out and show what true saltwater fishing is all about. Fishing in the Keys will have you reeling in tarpon, bonefish, permit, marlin, dolphin, redfish and many more exotic and beautiful species. KeysTV.com provides the largest Key West and Florida Keys fishing guide anywhere! You'll find info about Beaches & Parks, Fishing Charters, Fishing Events, Flats and Backcountry Fishing, Light Tackle Fishing, Offshore Fishing, Party Boats, Charter Boats, Services and Supplies and Fishing Tournaments.